Avon Global Ambassador Reese Witherspoon and Avon Chairman & CEO Andrea Jung present Russian domestic violence organization ANNA with a $60,000 grant as part of the Avon Global Believe Fund. Avon Global Ambassador Reese Witherspoon wears Avon's Empowerment Bracelet and necklace in Moscow's Red Square during her visit for Avon's World Tour. Andrea Jung and Zoe present grant to Family Rescue, Inc.
Avon Chairman & CEO Andrea Jung, and award winning singer Fergie on stage at the Believe World Tour in NYC. Award winning singer Fergie celebrates AVON's 125th Celebration at the Believe World Tour at Madison Square Garden on April 6, 2011 in New York City. Award winning singer Fergie previews her upcoming Avon fragrance Outspoken Intense, scheduled for late summer 2011. 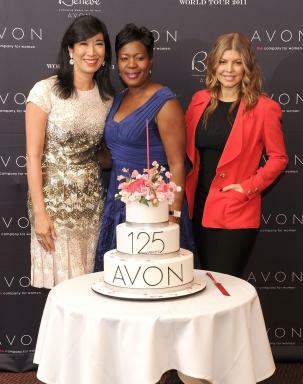 Avon Chairman and CEO, Andrea Jung celebrates AVON's 125th Celebration at the Believe World Tour at Madison Square Garden on April 6, 2011 in NYC. 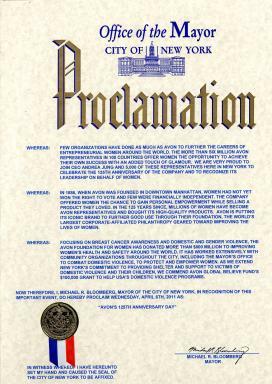 Mayor Bloomberg Proclaims April 6, 2011 "Avon's 125th Anniversary Day" in the City of New York. 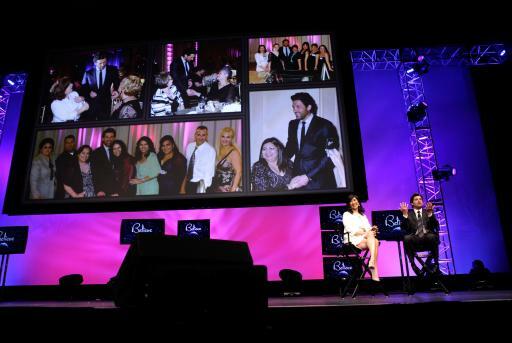 Avon Chairman & CEO Andrea Jung, and award winning actor Patrick Dempsey celebrate Avon's 125th Anniversary during the 2011 Avon Believe World Tour in Los Angeles. Avon Chairman & CEO Andrea Jung & Reese Witherspoon present Cathy Willis Spraetz, CEO of Parternship Against Domestic Violence with a $60,000 check as part of the Avon Global Believe Fund. 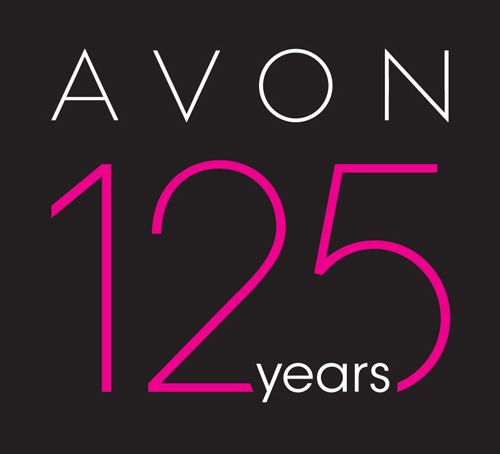 New York, NY – September 15, 2011 – Avon Products, Inc. today celebrates the 125th Anniversary of the founding of the company. 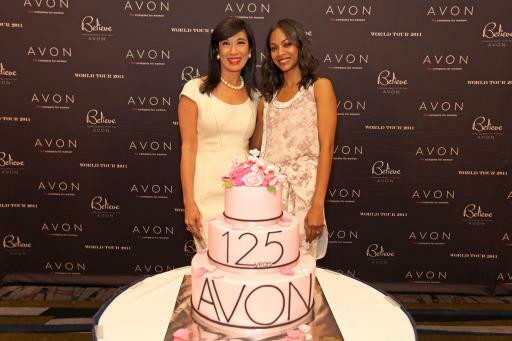 Throughout this milestone year, Avon has held numerous events focusing on its rich heritage of empowering women to support themselves and their families. These include the Avon Believe World Tour, which visited 16 cities and touched 125,000 Representatives; concerts and special events; and anniversary celebrations for the company’s 42,000 Associates. Today in New York, where the company was founded 125 years ago and where its Global Headquarters are located, Avon Chairman & CEO Andrea Jung marked this important milestone by ringing the Closing Bell at the New York Stock Exchange with Avon Representatives, Executives and very special guest Mr. Jim Clark, grandson of Avon’s Founder David H. McConnell. 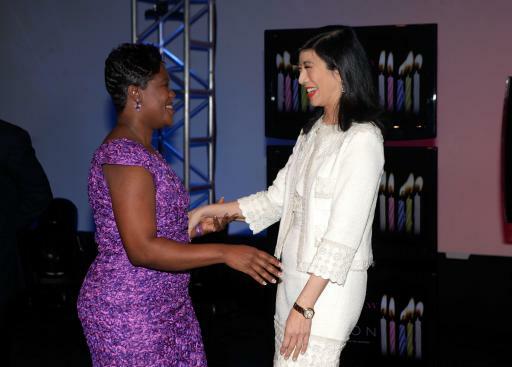 As part of Avon’s celebration of the company’s mission to empower women, Avon launched the $2 million Avon Global Believe Fund this year, continuing the company’s work to end violence against women. The fund is making grants throughout 2011 to women’s domestic violence shelters and agencies. Avon and the Avon Foundation for Women are funding an international network of outstanding nonprofit organizations to help them provide critical life-saving services for victims of domestic violence and their families. This global effort also aims to draw attention to the alarming lack of adequate services for women and children who are victims of domestic violence. The world’s largest direct seller was founded 125 years ago in New York by David H. McConnell, a door-to-door book salesman. Mr. McConnell quickly realized that women preferred his home-made perfume samples, which he strategically offered as free gifts in order to ingratiate himself with potential customers, over the books he attempted to sell. Incredibly forward-thinking, he recognized that women selling beauty products to friends and neighbors was not only a sound business model but also an important social commitment. Mr. McConnell offered women across America the rare opportunity to earn an income to support themselves and their families, a progressive concept for the United States in 1886, 34 years before women in that country earned the right to vote. 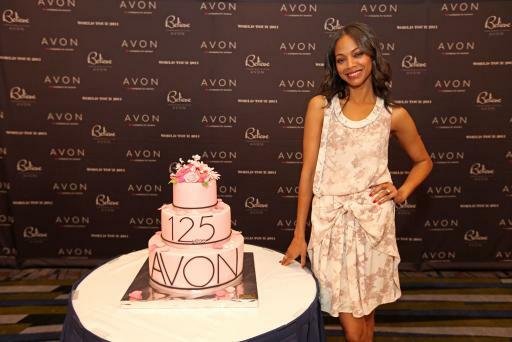 Learn more about Avon’s rich history and heritage at http://www.avoncompany.com/aboutavon/history. 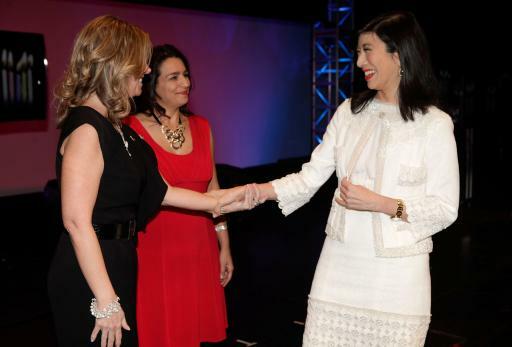 Today, Avon – the company for women – is a leading global beauty company, with over $10 billion in annual revenue. As the world's largest direct seller, Avon’s 6.5 million active independent Representatives market their products to 300 million customers in more than 100 countries. They conduct their business face-to-face and online through eTools that leverage today’s latest technologies to support each Representative as she runs her business in a way which best fits her life. 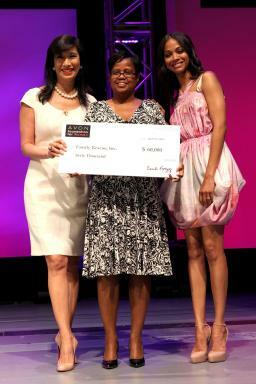 In addition, Avon global philanthropy is dedicated to improving the lives of women globally. The Avon Foundation for Women is the largest corporate-affiliated philanthropy focused on issues that matter most to women, and Avon global philanthropy has donated more than $800 million to improve women’s health and safety around the world. Avon focuses its philanthropic efforts on raising funds and awareness to fight breast cancer and violence against women. The company is also active in raising money to aid victims of natural disasters and is committed to environmental stewardship across its worldwide operations. This includes reducing Avon’s global environmental footprint and adopting sustainability policies and practices to achieve this. In addition to the Avon Believe World Tour and Avon Global Believe Fund, Avon is also celebrating 125 years of empowering women with its previously announced program, Avon Voices, the first-ever online singing talent search for women and songwriting competition for women and men. 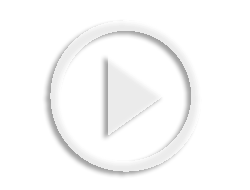 The program launched in December 2010 in more than 60 countries and since that time, over 2.4 million votes have been cast from around the world. Recently, 10 Finalists from nine countries were announced as advancing to the Finals. In November, two Avon Voices talent search winners will be selected by a combination of online public voting and a renowned judging panel of music industry leaders from around the world, including: Fergie, six-time Grammy award winner; Diane Warren, legendary songwriter; Natasha Bedingfield, Grammy nominated singer/songwriter; Lea Salonga, Filipina singer and actress; Valeriya, Russian sensation; Delta Goodrem, Australian Artist of the Decade; Sheila E., breakthrough, Grammy-nominated female percussionist; David Pack, Grammy award-winning singer/composer and music producer; Ivete Sangalo, Brazil’s biggest pop star; Maia, Colombian singing star; and Diego Torres, Grammy nominated singer/composer. More information is available at www.AvonVoices.com. Also, Avon has partnered with the Hagley Museum and Library to create a digital corporate archive, including Avon brochures, advertising and product images spanning the company’s 125-year history of empowering women. Avon’s digital corporate archive can be accessed at http://www.hagley.org/library/exhibits/avon/. Avon, the company for women, is a leading global beauty company, with over $10 billion in annual revenue. As the world's largest direct seller, Avon markets to women in more than 100 countries through approximately 6.5 million active independent Avon Sales Representatives. Avon's product line includes beauty products, as well as fashion and home products, and features such well-recognized brand names as Avon Color, ANEW, Skin-So-Soft, Advance Techniques, Avon Naturals, and mark. Learn more about Avon and its products at www.avoncompany.com.